Joseph Carens, The Ethics of Immigration. Demographic politics are back. Migration from poor to rich countries may be the most polarizing issue of the 21st century for Europe and North America. We urgently need a way to think clearly about how a liberal-democratic state may treat people who move to it – and, more radically, on what basis, if any, it may stop them from coming in the first place. While most people in the West think migrants have a right to be treated equally once they are here, there is a broad consensus that governments can, and should, keep people out if it is in their national interest to do so. 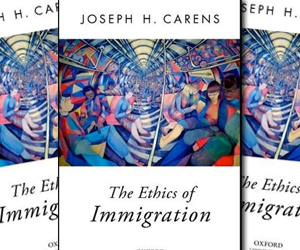 In The Ethics of Immigration, Joseph Carens, a political theorist at the University of Toronto, argues that this widespread intuition is wrong, and that basic liberal democratic commitments require more or less “open borders.” His argument is provocative and very accessible. Carens has a knack for making technical immigration policy and even more technical philosophical debate interesting. Unfortunately, however, he embraces a style of “ideal theory” that renders his book much less useful for the genuinely tough issues of immigration policy than it could be. There is no doubt about the timeliness of immigration as a burning moral and political issue. Between the world wars, anxieties about the fall of birth rates among European-derived people brought the open migration of the 19th century to an end. The defeat of fascism eventually resulted in a partial turnaround. In 1957, the Treaty of Rome established free movement of workers within what was then the European Economic Community. In the mid-sixties, Canada, the United States and Australia abandoned highly restrictive and racially discriminatory immigration policies. In the following half century, the demographics of the Anglosphere and, to a lesser extent, continental Europe changed dramatically. But the rich countries have never allowed in more than a fraction of the people who would like to come. While the global South, with the exception of parts of east Asia, did not approach the economic well-being of its former colonial masters, it did have a population explosion as access to modern health care dramatically reduced child mortality. The result was, and is, many more potential migrants than the West is prepared to accept. Mass migration has never occurred without resistance. For decades, many European countries have had populist anti-immigration parties – sometimes explicitly racist or fascist. In the United States and the Commonwealth, nativism has expressed itself primarily through mainstream parties. For the most part, though, each new cohort in the native population has been more open to racial and ethnic diversity, while the descendants of migrants undeniably assimilated in the sense of becoming adept in the local language and popular culture. 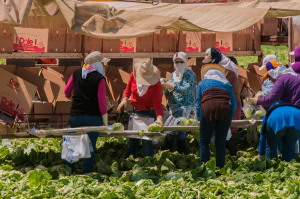 Business and political leaders have seen immigration as a way to bring in needed skills and mitigate the threat to the welfare state from aging native populations. In the 1990s, it was easy to imagine that the West would embrace a post-ethnic identity and provide a new home for ambitious people from poorer countries. It is still possible, but the 21st century has been hard on inevitabilist illusions. As the last overwhelmingly white generation in the West, aging baby boomers have found a strange new respect for the demographic anxieties of the 1920s. September 11 reignited the West’s anxiety about the Islamic world. Muslim immigrants are particularly visible in western Europe. The 2008 economic crisis and the failure of Europe’s labour markets have pushed demographic politics back to the centre of controversy. As I write, most polls show Marine Le Pen as the most popular first-ballot choice in France’s 2017 presidential election. The United Kingdom Independence Party captured 13 per cent of the vote in Britain’s May 7 general election. Populist anti-immigration parties received more than 10 per cent of the vote in the most recent elections in France, Switzerland, Austria, Belgium, Finland, Norway, Sweden, Denmark and the Netherlands. Mainstream European parties are, with few exceptions, careful not to support increased legal immigration and are firmly in favour of suppressing illegal border crossing. The anti-immigration wing of the Republican Party has been able to prevent any legislation giving legal status to the tens of millions of foreign nationals, mostly Mexicans, working and living in the United States illegally. President Obama, resorting to executive action, has responded by not enforcing existing immigration laws against large categories of people. The legality of this action will be decided in America’s highly partisan federal courts. Democrats and pro-immigration Republicans (most prominently represented by Jeb Bush) insist that they will increase enforcement on the Mexican border and have very limited proposals for extending legal immigration. Canada has maintained a relatively strong consensus in favour of existing levels of legal immigration of around 250,000 people per year, although the Harper government has tried to shift the composition of legal immigrants away from the family and refugee classes and toward economic immigrants. The tension between the economic forces for increasing migration and the political forces for slowing it is only going to rise. Lance Pritchett estimated that in 2002 a Salvadoran with a primary school education could make almost 15 times as much working in the United States as at home. The ratio is even higher between sub-Saharan Africa and Europe. While the global South is entering the final phase of the demographic transition as birth rates fall, it will be a century before this plays out. In the meantime the gap between a growing working-age population in the South and a declining one in the rich countries is going to become starker. We can expect an aging Western electorate in a time of diminished economic expectations and increased security concerns to vote against accelerating the demographic shift that began in the 1960s. The reforms of that decade are under threat: it is hard to imagine their being expanded. But by limiting immigration, we are leaving trillions of dollars of potential economic wealth on the table, while condemning millions to poverty and insecurity. Economically, immigration increases the size of the pie. Immigrants and their families usually increase their incomes substantially. This is not surprising because economic improvement is usually their motivation for immigrating, and it has to be significant enough to overcome all the disincentives of moving to an unfamiliar culture. For the receiving country, economic theory tells us that mobility of people, like mobility of goods and capital, should result in gains from trade. But these gains are not distributed equally. The less you have in common with the average immigrant, the more you will benefit. Specialists on immigration economics like George Borjas have found that high-skilled immigration increases overall wealth in the receiving country substantially, while diminishing inequality within the native population. Low-skilled immigration to economically developed countries benefits the immigrants themselves and high-skilled natives (but not much), but results in lower wages or joblessness for less-educated natives. The social effects for receiving countries seem to be mixed. On the one hand, more diverse societies allow for more options and thereby more freedom. More ways of living feed more perspectives into the social mind. On the other hand, as Robert Putnam has shown, diversity can lead to a sense of social isolation and a decline in trust. At existing levels, immigration does not seem to have a dramatic effect on political institutions: recent immigrants participate less in politics, but generally vote in patterns similar to older populations. 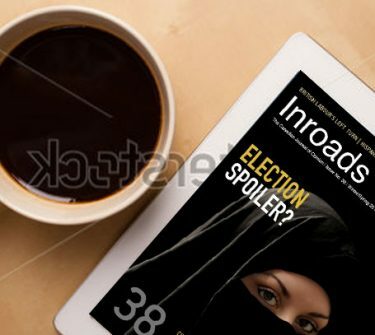 Despite the hype, radical anti-Western politics are restricted to a tiny minority. What does immigration do to poor countries? On the “brain drain” view, rich countries lure away much of the high-skilled elite that source countries desperately need and spend scarce resources educating. On the other hand, migrants to the West send money home and bring back skills. Remittances from expatriates exceed all foreign aid. Migrants provide a bridge for the transmission of Western technology and organizational knowledge. If immigration implies winners and losers, how should we decide whom to let in, and how to treat those who are here? On a straightforward cosmopolitan utilitarian calculus, more immigration is a good thing: immigrants benefit and the net effects on others are uncertain and probably positive. From the narrower perspective of current citizens of rich countries, high-skilled immigration seems to be good, but large amounts of low-skilled immigration could create more unequal societies, transforming Europe and North America into versions of Brazil or South Africa. In Michael Walzer’s phrase, open borders will mean “a thousand petty fortresses” as the well-off separate themselves domestically. But on a global level, this dystopian vision will actually be more equal than the status quo, so maybe we are morally obliged to do it anyway. Carens’s strategy is to answer the moral questions about immigration using principles that have near-unanimous support among citizens of democratic countries – albeit applied in ways the vast majority of those citizens would reject. In the first part of The Ethics of Immigration, he presupposes that states have a moral right to restrict immigration, and discusses the implications of generally accepted democratic principles for such issues as birthright citizenship, naturalization, assimilation, rights of permanent residents and temporary workers, rights of illegal (“irregular”) immigrants and the grounds on which legal immigrants should be admitted. In the second part, he takes the more radical path of challenging the right of the state to keep people out at all. Some of Carens’s conclusions will not be controversial within mainstream liberal opinion, at least in Canada. He is in favour of automatic citizenship for children of foreign nationals born in a country. Those who grow up in a country should have an automatic right to its citizenship as well, regardless of birthplace or nationality of parents. Authorized permanent residents should have essentially the same legal rights as citizens, and should have a right to obtain citizenship after they have been in the country for a lengthy period of time. While he acknowledges that public social norms will inevitably reflect majoritarian culture, they should also develop to accommodate minority interests. What I found interesting about his discussion on these points is that many of the arguments turn on whether dual citizenship is something a state has a right to discourage. Carens compares making a person choose between two nationalities when they have close links to both to forcing a child to choose between parents. I find Carens’s arguments persuasive, but only because intercountry war has become unthinkable, except perhaps involving pariah states that do not send many migrants. A century ago, this would have seemed utopian: of course any state needed to know whether it had its nationals’ loyalty in a war. Concerns about loyalty today are not really about loyalty to specific states but to revolutionary ideologies, so dual citizenship is no longer a big deal. But I think the failure to examine the factual/historical presuppositions for his argument exposes a weakness in Carens’s approach. Carens claims he can avoid empirical controversy by talking only about what justice requires and is concerned that excessive pragmatism will confuse what we can endorse and what we must endure. The problem is that it makes no sense to ask what is right when faced with unavoidable necessity. When the prospect of interstate war was the most important issue in world affairs, dual citizenship would have been not only inexpedient but also unjust. Not all of Carens’s conclusions in this section of the book are uncontroversial. Carens says naturalization tests are unjust because people inheriting their citizenship through birth or parentage do not have to demonstrate any particular knowledge. He argues that there are strong normative obligations on a host population to modify its culture to accommodate newcomers, and even argues for an asymmetry of obligation: migrants are morally entitled to associate only among themselves, but natives are not. Even history must change – according to Carens, “the history of the nation has to be imagined and recounted in a way that enables citizens of immigrant origin to identify with it.” Carens maintains that temporary workers must be given the same workplace rights as other residents, although he allows for differences in access to social insurance. With respect to “irregular migrants,” he argues for a firewall between immigration authorities and other state authorities, particularly police, social workers and schools, and says that irregular migrants obtain a moral right to stay after about ten years in the country. 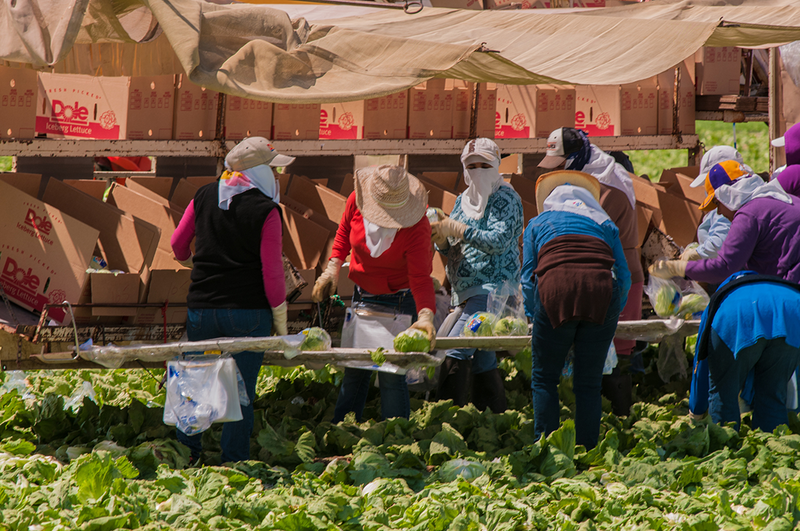 Enforcement of immigration laws should primarily target employers. In relation to who should come in, assuming the state can morally make such decisions, Carens posits that family reunification is morally required but is uncertain whether “family” should be understood in terms of the culture of the migrants or of the receiving country. He says ethnicity and cultural affinity are not legitimate grounds to choose migrants, although linguistic ability and economic prospects are. Carens also says that the current refugee policy of almost every Western country is immoral, and that European and North American countries are morally obligated to make a serious effort to resettle the millions of Convention refugees currently in camps. I am sympathetic to many of Carens’s conclusions, although I disagree about history: if it were up to me, history would not be “imagined” for contemporary political purposes at all. But I doubt that any of these conclusions follow from generally accepted normative principles. For cosmopolitans, all that matters morally is membership in the human species, so the state can’t rightfully prioritize the interests of its current citizens at all. Carens says he is not a cosmopolitan, and thinks the state should prefer those who are members of the society. But behind most of his conclusions is the premise that the only thing that matters to social membership is duration of residence within the country’s borders. Any other principle, he argues, would privilege the way of life of the native population over those of the migrants. To me, this just seems to be a restatement of the cosmopolitan viewpoint. If an existing majority is allowed to prioritize what is “theirs” precisely because it is theirs, then Carens’s arguments do not follow. They can set the rules about social membership, and if migrants don’t like those rules they don’t have to come. This particularist intuition is at the root of most of the attitudes Carens objects to. Clearly, “love of one’s own” has deep roots in human nature. Classical liberals think the state and the law should not act on this premise, although voluntary associations may. Communitarians disagree. Carens wants to have his communitarian cake and eat it too. Utopian theory or lifeboat morality? The most controversial issues are those surrounding “open borders.” According to Carens, the basic democratic principle of liberty implies that coercion must be justified, and the basic principle of equality implies that differences in treatment, particularly those based on status inherited at birth, must be justified. Closed borders are enforced by men with guns, and are coercive. And they deny rights of entry to rich countries, and all the opportunities that go with those rights, on the basis of an accident of birth. It follows that we must either come up with special justifications for controlling immigration or abandon our commitment to liberty and equality. The obvious response is that what justifies limiting immigration is the chaos that would ensue if all the people who saw it as in their economic interest to move did so at once. The number who might like to move from the global South to Europe and North America is conservatively numbered in the hundreds of millions. The experience of contemporary levels of immigration would be no guide to what would occur if all immigration controls were lifted. Carens acknowledges the point, but says that this should not matter because the massive demand for immigration exists only as a result of the inequalities between rich and poor countries. If every country in the world had more or less similar levels of economic opportunity, only a few unusual people would want to leave their country of origin. Immigration at this level would be no threat to national identity, social order or any other good that seeks to justify immigration restriction. To my mind, this is a cop-out. The National Front’s Marine Le Pen and UKIP’s Nigel Farage could happily agree that if such a world ever came into existence, they would support open borders. The issue, surely, is what the obligations of rich countries might be in this world. To be sure, moral philosophers should not feel confined to the immediately practicable. But they should not help themselves to an assumption of changed material circumstances that just disappears the dilemma they are purporting to assist us with. Migration between Sweden and Switzerland is not a burning issue one way or the other. If economic opportunities were more or less the same everywhere, we could expect that democracies would agree to let one another’s nationals move freely on the expectation that few would. That was no doubt the mindset of the signatories of the Treaty of Rome in 1957. If there were no significant economic inequalities in the world, we probably would not have much in the way of immigration control – but if we did, it would be no big deal. In our world, in contrast, many Africans risk their lives every year to get into Europe, as do Latin Americans to get into the United States. We cannot escape the moral seriousness of sending them back – even if they are “only” economic migrants, it means sending them to live a life we would never accept for ourselves. But by the same token, Carens cannot really escape the argument from necessity: if Europe or North America let everyone in who wants in, economic theory would predict that people would keep moving until there was no longer a benefit to do so. There would be little welfare state left, and possibly little in the way of democracy and a market economy. For Carens, as for John Rawls before him, anything that is a product of human action is subject to human agency: if it is a social fact, we could change it. Since the division of the world into states is a social fact, in his view it makes sense to question its justice, even if we have no real option of exiting a world of nation-states. He finds the idea that justice applies to the evaluation of options only if there is a mechanism to choose between them “puzzling.” But justice presupposes choice: as Carens and Rawls would concede, it makes no sense to say polio or cancer is “unjust” unless you posit an agent who could get rid of it. The historically given may be just as impossible for any particular agent to undo as the naturally given. Carens thinks it is obvious that feudalism or slavery was “unjust” before there was a way to change it. But this is not obvious at all. Thinkers as diverse as Marx, Hayek and Burke would deny that it makes sense to talk about the “justice” of a utopian scheme without explaining the agency by which it would be realized. An immigration law can be changed because we have the mechanism of legislative amendment (itself a product of a historical development no one could have planned). But we have no similar mechanism to get rid of the division of the world into states or the economic differences between the rich countries and the poor ones. Carens sometimes suggests that open borders would motivate Europe and North America to do the right thing and bring the global South up to their own economic level. But he does not try to establish that they could do this even if they wanted to. For most of human history, every society was in a Malthusian trap: economic improvement due to technological advance could lead to population growth, but it could not lead to sustained increases in living standards. Northwestern Europe escaped this trap in the late 18th century. The leftist explanation for this was colonialism and slavery, but it seems pretty clear that the causation ran the other way: Europe could have global colonial empires because it became rich, but it did not become rich because of global colonial empires. The West has a poor record of transplanting its institutions and, anyway, does not have the right to do so. Of course, it is perfectly possible that other parts of the world will escape the Malthusian trap: east Asia has largely done so, and the Indian subcontinent and much of Africa have recently shown some signs of economic convergence. The biggest danger, particularly in Africa and the larger Middle East, is renewed civil conflict, although corruption and ethnic politics are certainly obstacles as well. But whatever happens, the West will at most play a supporting role. Carens has a remarkably old-fashioned view of Western agency acting on Southern structure. In a very short passage, Carens provides a more useful analysis by comparing the rich countries to a lifeboat. The people on the lifeboat have no moral obligation to allow so many people into it that it sinks, but they do have an obligation to take as many as they can without endangering themselves. As Carens says, all Western societies could take more immigrants without endangering the institutions that make them desirable places to move to in the first place. Of course, there are difficult tradeoffs. Those most likely to drown without the lifeboat are the unskilled, but those who would be easiest to accommodate are the relatively fortunate. The lifeboat analogy allows for quantitative restriction on immigration, but it does imply that the number of immigrants should be as large as possible. The number of legal immigrants that is politically feasible will always be smaller than the number lifeboat morality demands. Hence Carens’s political project is sound, even if his utopian theorizing is not.